Detail from “Très Riches Heures du Duc de Berry,” 1412-1416, Europe. 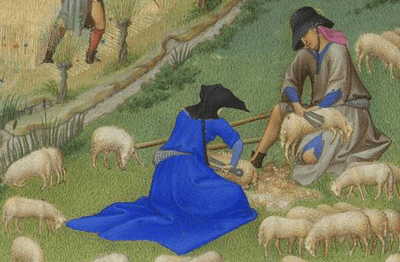 Man and woman shearing sheep. She wears a black hood with a long liripipe and a scrip or bag at her waist. He wears a floppy black hat tied under the chin.